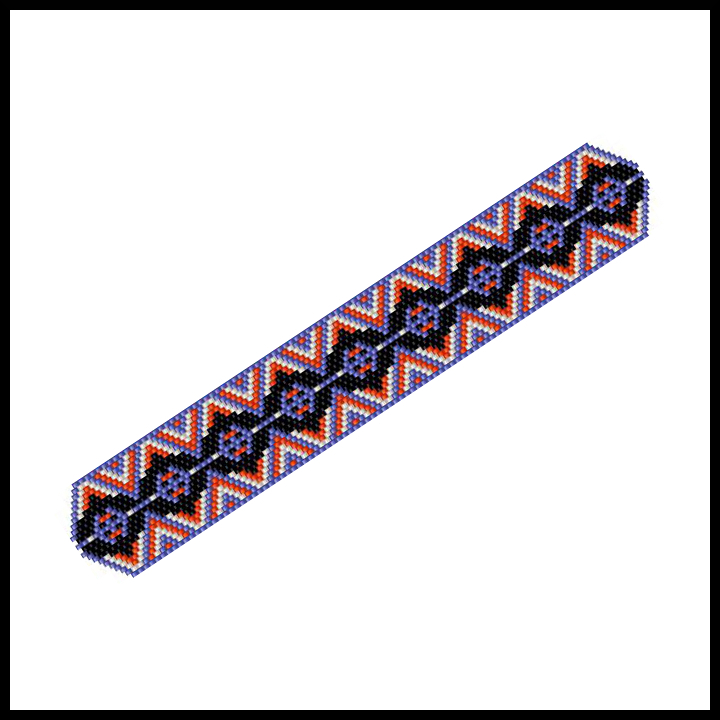 Celebrate Halloween with this striking odd-count peyote cuff featuring a colony of reflected bats against a geometric design in white, blue and orange. Since this design looks like a curlicue geometric design with an eastern flair, it can be enjoyed all year round. 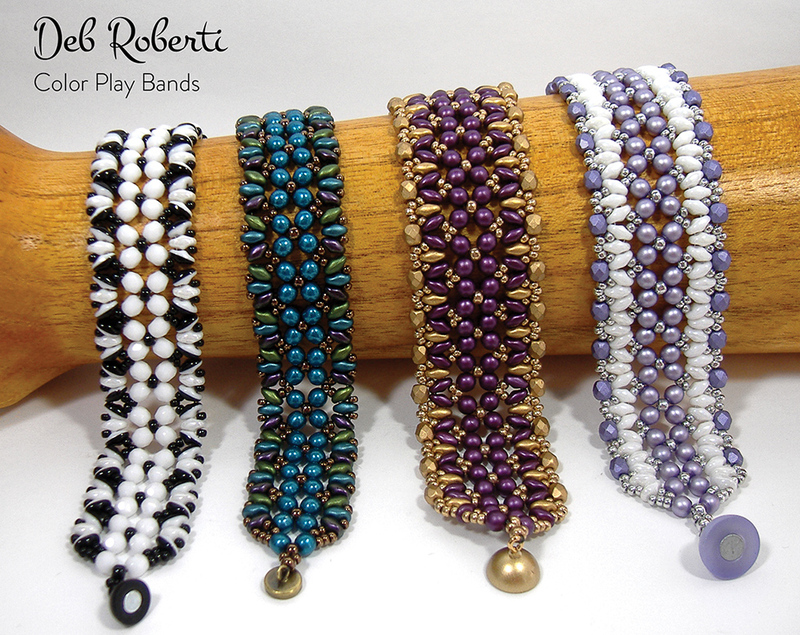 The pattern includes a list of 4 recommended Delica bead colors and a full color chart. Knowledge of increasing and decreasing in the stitch used is required. This is a chart-only pattern so basic brick and peyote stitch instructions (including increasing and decreasing) are NOT included.